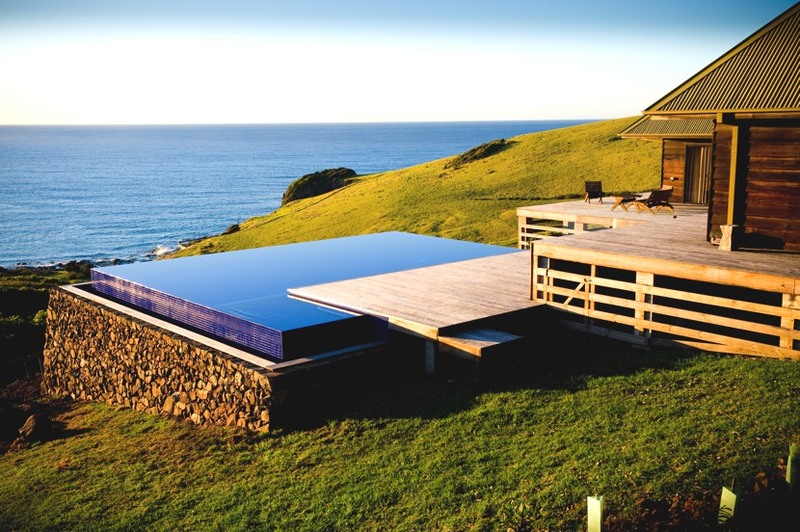 Situated on one of the last working farms skimming the coastline of Gerringong, you’ll find Ocean Farm - a secluded hideaway nestled amongst the rolling hills of the South Coast. Boasting absolute privacy, panoramic ocean views and breathtaking scenery, Ocean Farm is the ultimate destination to experience luxury amidst untouched landscape. Whether a family getaway, a romantic weekend, or a relaxing break with friends, Ocean Farm caters to all - large comfortable bedrooms, a well-equipped kitchen, open log fireplace, infinity pool, entertainment room, and an all-encompassing deck featuring sweeping coastal views. Guests can walk the grass track for a long lunch or quick dip at Gerringong's Werri Beach, swim and laze on the deck, sip wine in front of the fire, breathe the clean country air, or simply just unwind in bed. The property is set in it’s own pocket of rainforest hidden from neighbouring homes – we suggest bringing weekend provisions, as once you set foot in the door you may not want to leave! Although furnished with all essential items, Gerringong town centre is a short 5-minute drive should you crave a barista style coffee or the weekend paper. A detail from the Andrew Room. One of our smaller rooms! Ocean farm doubles as a family weekender for the property owners who keep the house well stocked and maintained as they would with their own home. We ask that guests respectfully appreciate this, and treat the property in the same manner, whilst also feeling comfortable and at home. ● All linens including sheets, towels, blankets etc. The kitchen - fully equipped to prepare a feast. Or we can suggest caterers if that is more your style.